Beauty Care Choices: The Cold Water Rinse! Before we take a look at some of the reasons why splashing cold water is a wonderful idea, make sure that you have thoroughly cleansed your face prior to using cold water on it. Cold water causes those open pores to close. And if your face is soiled before you rinse it with cold water, all the dirt and grime will get trapped inside those pores. We all know that clogging up the pores can be disastrous as it can cause pimples to show up! So...what are the benefits to splashing the cold water on your face after washing it? Just like what’s mentioned earlier, cold water is capable of making large pores smaller. Splashing water on the face is the perfect beauty tip for individuals who are terrified of taking close-up selfies and posting them online because of their humongous pores that make their faces look like the surface of the moon. 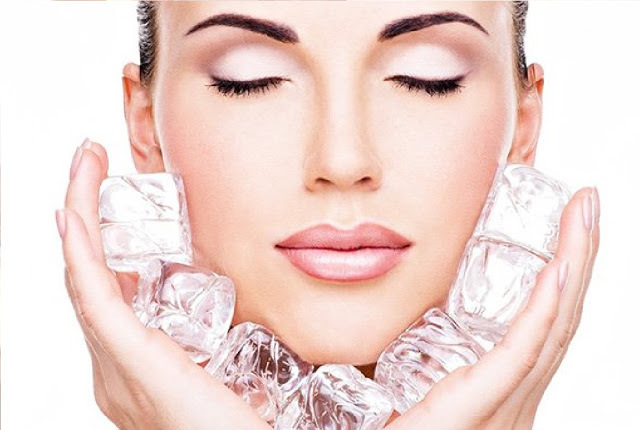 Since cold water is capable of shrinking the pores, it’s also something that can help make your face less shiny. That’s because it is through your pores that oils produced by the sebaceous glands reach the surface of your skin. With the size of your pores considerably reduced, the amount of oil that covers your face can be kept to a minimum. Cold water causes large pores to become smaller because of its mild astringent properties, which means it can cause tissues such as your skin to tighten. It's why cold water can temporarily get rid of sagginess — it makes the skin taut. Did you know that washing your face with cold water can make your complexion sport a rosy glow? So if you feel that your face looks ashy, add some color to it by splashing some cold water on it. Here’s an extra tip: rubbing ice cubes on your cheeks will make them blush in the most natural-looking manner.